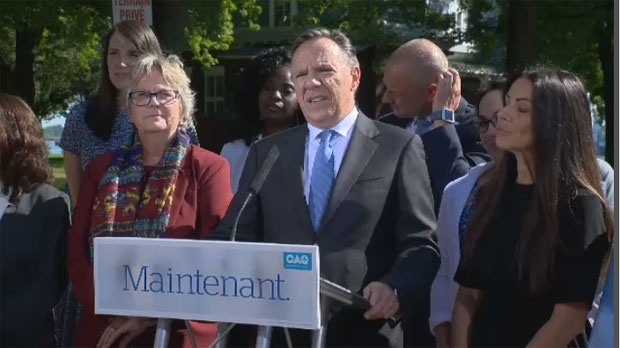 The CAQ is the first party to release its financial plan, touting it as conservative, responsible, and cautious. One of its promises is a commitment of nearly $1 billion to education and healthcare. 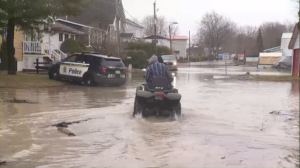 Leader Francois Legault also wants to give money back to the people of the province. “We want to put $1.7 billion in the pockets of Quebecers,” he said. One way he hopes to accomplish that is by reducing school taxes by $700 million. He’ll also focus on government departments that are being mismanaged. “Either they don’t have any targets or objectives, or if they do have them, they don’t reach them,” he said. Beyond that, the CAQ has its sights set on reducing the province’s debt by $10 billion by March 2019. Other parties, however, were skeptical of Legault’s plan. Leitao and the Liberals were making their own financial announcements on Saturday as well, albeit on a much smaller scale. Philippe Couillard pledged cheaper and potentially free hospital parking. He said that a newly-elected Liberal government would have free parking for two hours for someone visiting a relative in the hospital, and the costs limited to $7 per day for any time beyond that. The initiative would cost the government $100 million per year. In 2017, the government forced the MUHC to lower its daily parking rate to $24. In Montreal, the PQ was advocating for stronger language laws. Speaking at McGill University, Jean-Francois Lisee said that Bill 101 doesn't go far enough to protect French and wants to introduce Bill 202 to encourage usage of the language at home. He also wants to set up an exchange program for students to improve their skills, and create a mandatory French proficiency exam for English CEGEP students. "We have failed as a society if students are coming out of McGill perfectly trained in their field, get into the job market in Montreal and feel like they're not prepared to thrive in French," he said. Meanwhile, Quebec Solidaire announced the details of their proposed dental plan. It would ensure free dental work for children, and cover 80 percent of dental work for adults. The plan would cost $950 million per year.